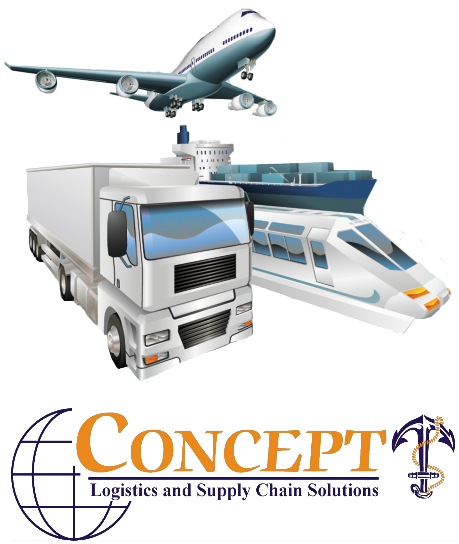 CONCEPT is a logistics and supply chain company based in Egypt, specialized in Freight Forwarding, Solutions, and Consultancy. We strongly believe that our power has been born out from several factors, such as experience in all logistics/ supply chain activities, market knowledge and continuous training. Our vision is to deliver concept than solutions. Our main value is to concentrate on respect, responsiveness, energy, excellence, simplicity, just in time philosophy JIT. We maintain high value relations with our sources and service providers to support us offering unique services. – Supply chain solutions: Plan, Source, Make, book, deliver, and return. – Logistics Solutions: ocean freight, air freight, overland network freight, customs brokerage, project logistics, and warehousing / distributions.